Not even $20 dollar parking rates could keep Angelenos away. 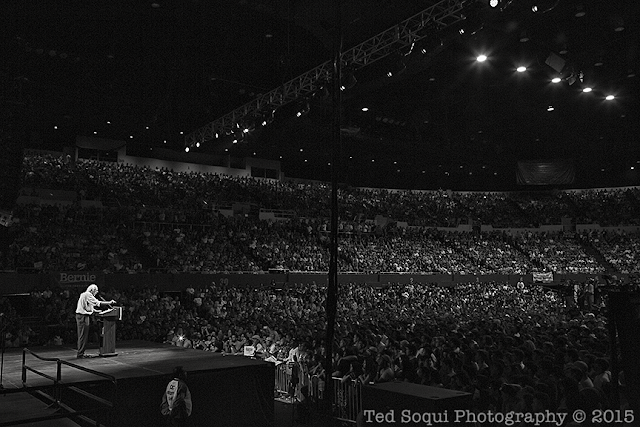 Senator Bernie Sanders, Democratic candidate for US president, held a rally at the Los Angeles Sports Arena. He drew an estimated 27, 500 people, many of which had to watch and listen to the rally outside due to the arena getting filled to crowd capacity. Senator Sanders is drawing the largest crowds of any presidential candidate. 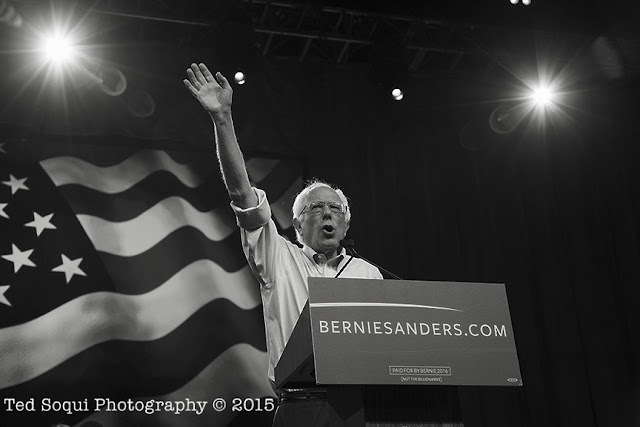 He is running a populist campaign that won't take donations from the super rich or racist people or causes. The senator spoke to a very enthusiastic crowd who responded with loud cheers and chants.